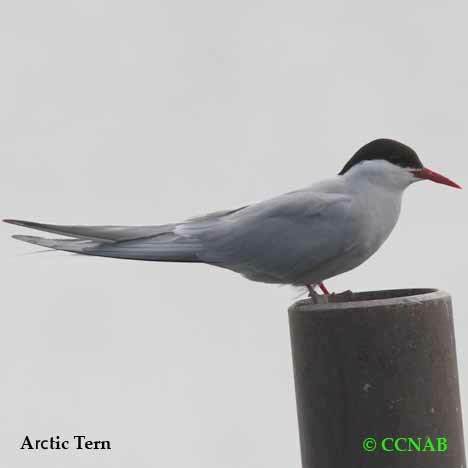 Distribution: The Arctic Tern has long wings and tail feathers and noticeably short legs. This tern has the longest migration route in the world. Flying from Antarctica to the arctic every spring and returning to Antartica every fall. It can be seen in the spring and summer months from Nova Scotia, Newfoundland and Labrador coastlines as well as northern Quebec. It is also seen along the shores of the Hudson Bay, throughout all the northern territories, all of Alaska and on the arctic islands.